Closing Of Ringling Brothers Circus A Victory For Animal Welfare Activists After decades of working on animal rights, some activists believe the movement has finally hit the mainstream, in part fueled by social media. It's changing American culture and the economy. 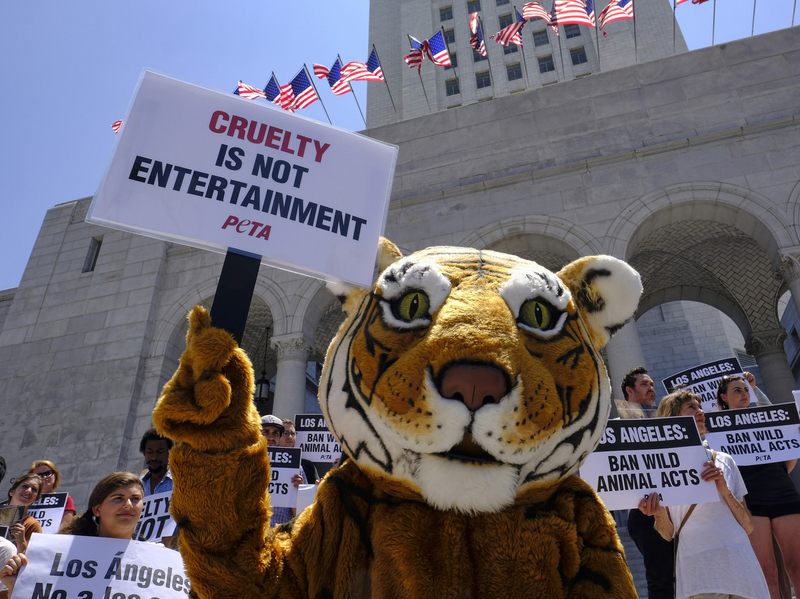 Protesters with People for the Ethical Treatment of Animals (PETA), including a costumed tiger, gathered at City Hall in Los Angeles last year to call on the city to prohibit circuses from using tigers, lions and other wild animals in their acts. Circuses have been a target of PETA since it was founded in 1980. When Feld Entertainment, owners of Ringling Bros., announced it's canceling the circus after nearly 150 years, it was one of the biggest victories yet for animal welfare activists. How the circus treats it animals — especially elephants and big cats — has long been a focus for groups like the Humane Society of the U.S and People for the Ethical Treatment of Animals. They see it as part of a larger change going on in this country — about how Americans view animals and the way we treat them. If you've gone to the circus in recent years, you probably saw them. At one protest outside the Ringling Brothers circus in Phoenix earlier this year, people shouted "Boycott the circus." PETA was founded in 1980 and "Ringling Brothers was a target of ours from the very beginning," said Lisa Lange, senior vice president of communications. We're really seeing a rising tide of consciousness when it comes to the treatment of animals. She believes the protests played a key role in changing public attitudes about the circus. In announcing the end, Feld Entertainment chairman Kenneth Feld acknowledged the decades of conflict with animal welfare groups. But he said the decision was made because of declining attendance and a change in public taste. "Yes, people no longer have a taste for that kind of entertainment," Lange said. "But we believe it's because they now know what that kind of entertainment costs those animals." The demise of the Ringling Brothers circus comes just months after SeaWorld agreed to stop breeding its captive orcas and to move away from its signature theatrical shows. Around the same time, the National Aquarium in Baltimore announced it was closing its dolphin exhibit and would move its dolphins to an ocean sanctuary. 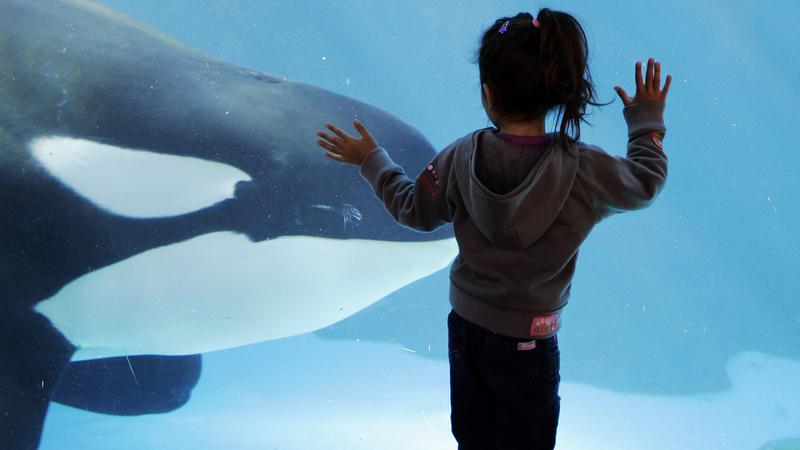 SeaWorld ended its long-running killer whale show after criticism that the whales suffered and became violent in captivity. "It's happening across the economy. It's happening across our culture," said Wayne Pacelle of the Humane Society. He believes a major change is going on in how Americans view animal welfare issues. "We're really seeing a rising tide of consciousness when it comes to the treatment of animals." Animal welfare groups have seen success in many other areas as well. In the last few years, major pork producers have eliminated confinement pens for pregnant sows. Egg producers have also begun getting rid of cages for their chickens. Pacelle says some of this has been accomplished through legislation. In other cases, change has been pushed by retailers like McDonald's and Wal-Mart. "In most cases, companies are now adapting," he said. "They're simply changing the way they do business to reflect a growing consciousness about animals and wringing the animal cruelty out of the business model." Lisa Lange of PETA says after decades of working on animal rights, she believes the movement has finally hit the mainstream. She believes a major factor is the power of social media. We have the ability to show people a video of elephants for example being beaten behind the scenes at a Ringling Brothers performance. And we put that up on our Facebook page, Instagram, we tweet it out. And millions of people see that video within hours. Pacelle cites a powerful example — the death of Cecil the lion. For years, the Humane Society worked to stop trophy hunting of lions, elephants and other big game with limited success. But two years ago, when a Minnesota dentist killed a lion in Zimbabwe named Cecil, the story went viral. 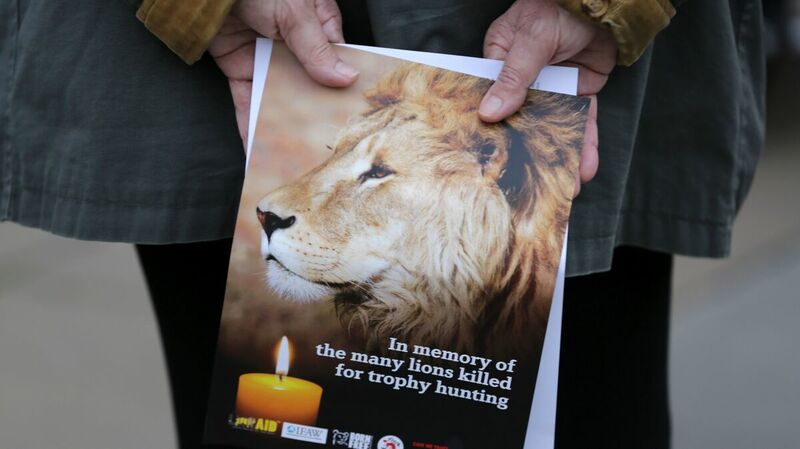 A pamphlet showing an image of Cecil the lion at a vigil in central London last year. After Cecil was killed by an American dentist and trophy hunter in Zimbabwe, the lion's story went viral online. One Zimbabwean activist got a hold of the image of the grinning hunters over the slain lion and, within 24 hours, more than a billion people had seen it. Soon, all the major air carriers had agreed to ban shipment of lion, elephant, rhino and other large animal trophies worldwide. Pacelle believes concern about animal welfare is now a value shared by all Americans. The question is what that will mean next for agriculture, entertainment, research and other fields in which animals play a role.